Snoring is often a normal part of sleep and can affect anyone. But for many of us, this sleeping pattern may be the sign of a more serious health problem - Obstructive Sleep Apnea (OSA). In OSA, the muscles that control breathing stop moving or the airway gets blocked. The breathing stops and then it resumes with a gasp. While you think about the typical sleep apnea patient, you often picture a man with an earth-rattling snore. Contrary to popular belief, this patient may also be a woman showing atypical symptoms common to sleep apnea. The disorder holds hidden dangers for heart health, especially in women. How sleep apnea affects women’s heart health? In OSA, you may awaken hundreds of times a night gasping for air. When breathing stops, the oxygen level of your body drops. In response to this, your body releases adrenaline, a stress hormone. When this happens over and over, increased levels of adrenaline leads to high blood pressure, which eventually affects your heart health. Women who show some of these indicators are possible sleep apnea patients. 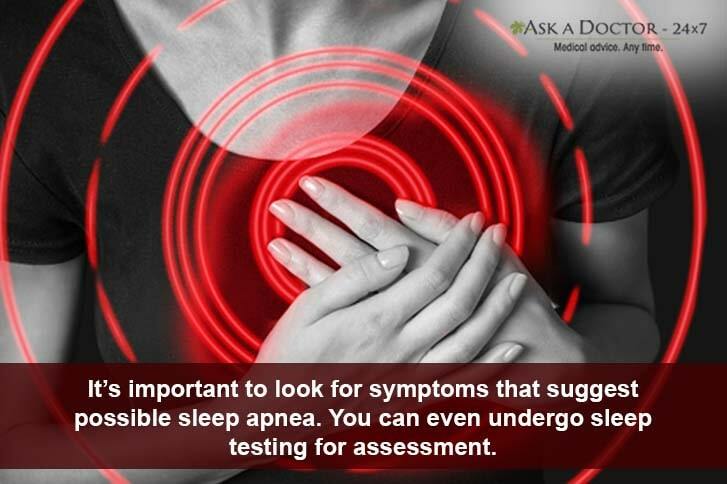 You should discuss these symptoms with your healthcare provider and undergo sleep testing for assessment of possible sleep apnea. 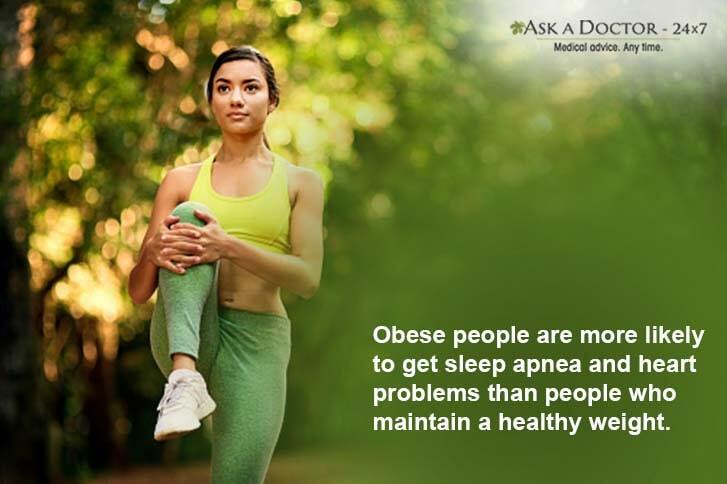 Not everyone showing sleep apnea symptoms is obese. However, if you are overweight, losing even a few pounds may benefit you. Exercising regularly will not only slim you down, but will also significantly ease your symptoms, and better the quality of your sleep. 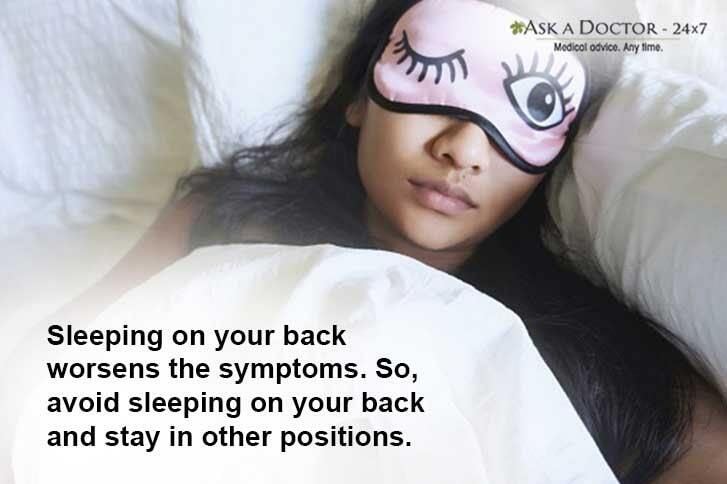 Many people experience sleep apnea when they sleep on their back. Sleeping in this position makes it more likely for your tongue and soft tissues to obstruct your airway. Ideally, you should avoid sleeping on your back and try to sleep on your side or stay in other positions. Pre-bedtime routines, such as taking a warm bath and dimming the lights, may also benefit you. 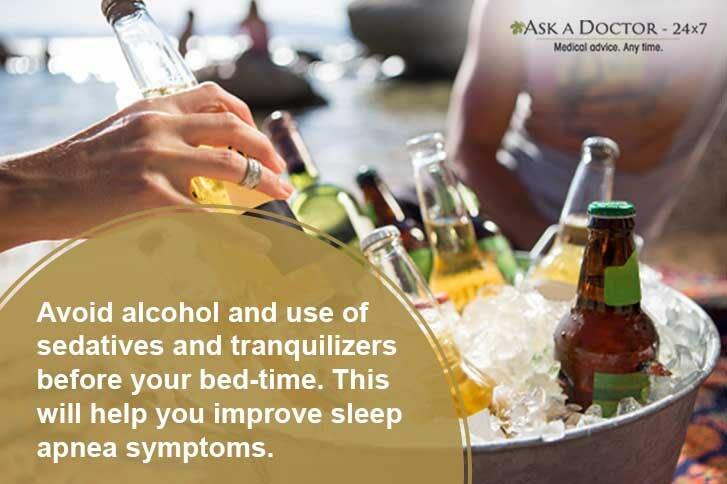 Did you know that taking excessive alcohol, especially before bedtime, worsens the symptoms of sleep apnea? Taking alcohol interferes with breathing and sleep quality by relaxing the muscles in the throat. Limit your alcohol consumption and plan not to have drinks at least three hours before your bedtime. Also, avoid taking sedatives and prescription tranquilizers as these have the same effects. You can ask an addiction medicine specialist online for help. 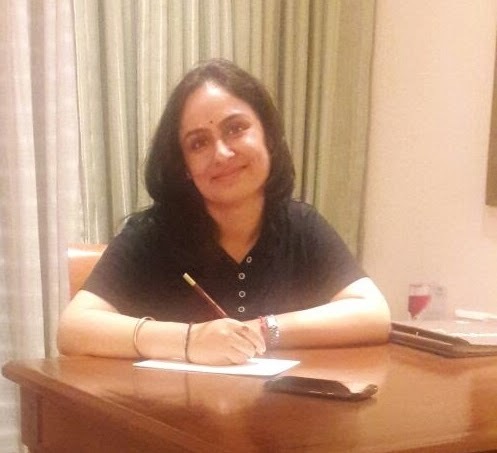 OSA sufferers are more likely to choose unhealthy foods for meals and snacks. Make sure you consume a diet rich in fresh vegetables, fruit, nuts, whole-grain, sprouted beans or legumes. Also, it should be low in carbohydrate content and contain only healthy fats. Weight management and lifestyle changes are the cornerstone of sleep apnea therapy. However, if your apnea is moderate to severe and you often feel chest pain and discomfort, you should consult a cardiologist. If your symptoms do not improve with lifestyle changes or you have moderate to severe sleep apnea, your healthcare team may suggest the use of continuous positive airway pressure (CPAP). Such devices ensure that your airways are open while you sleep. In other cases, surgery might be necessary. 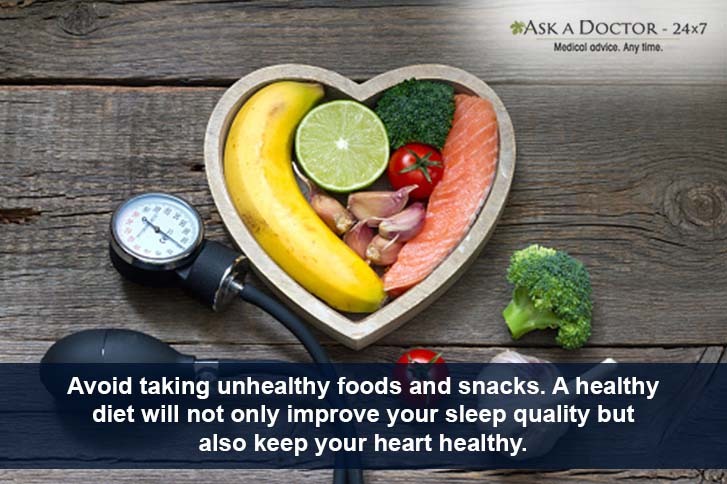 Sleep apnea and heart health are connected. In women, the disorder boosts their risk of getting heart problems and even death. Women can first try to relieve the symptoms by making changes in their lifestyle and sleeping habits. Proper screening for night-time breathing disorder is equally important. 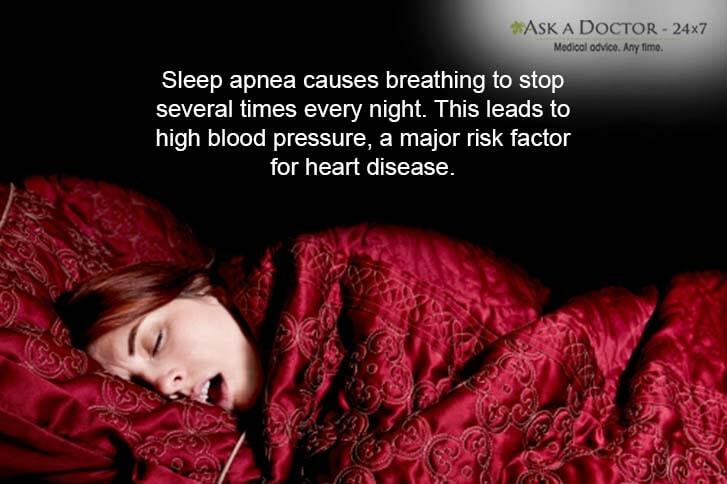 If you want to know more about sleep apnea affects health in general, contact us online today!